Today I will work in a team to create a product that teaches other students about cyberbullying. I'll know I've got it when my project meets the requirements in the teamwork rubric and presentation rubric. You should have completed your research on cyberbullying in Part 1 of this project. Choose one of the options below to teach students at our school about cyberbullying. 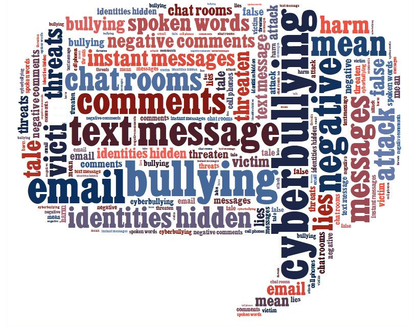 Include information that describes cyberbullying, generates solutions for dealing with cyberbullying, and explains how to avoid being a cyberbully. Projects will be shared on our class Edmodo site.